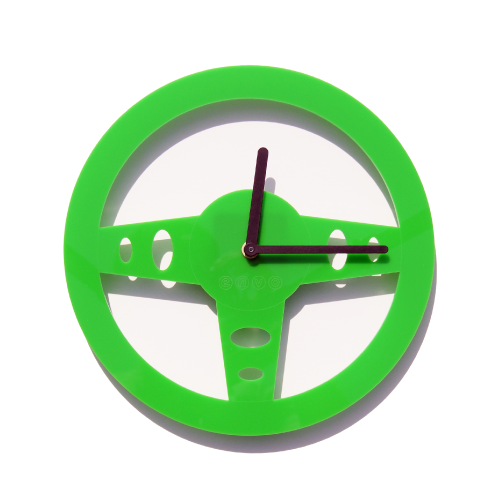 Funky wall clock created in the form of a steering wheel. 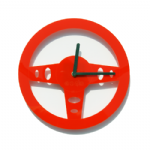 A great gift idea for the petrol head and driving fan, brighten up that wall and create that modern look in. 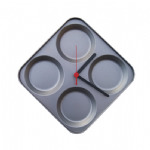 Made from 3mm acrylic plastic and comes in four bright colours. 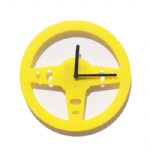 High quality German quartz UTS movement with large stylish plastic hour, minute and second hands also included.